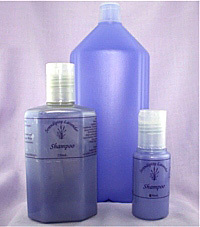 A gentle formula, suitable for all types of hair. Water, Sodium Laureth Sulphate,Glycol Distearate, Dimethicone, Cocomidopropyl Betaine, Polyquarternim II, Hydrolysed Protein, Methylchloroisothiazolinone and Methylisothiazolinone, D Panthenol, Methyl Paraben, Lavender Essential Oil, Carmosine Red C.I.14720, FD&C Blue C.I.142090, Salt. 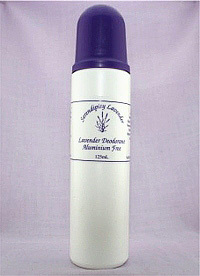 Great to use after the lavender shampoo. 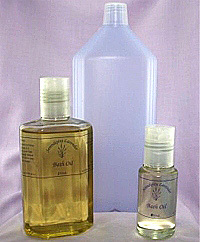 Water, Stearyl Dimethyl Benzyl Ammonium Chloride, Cetyl Stearyl Alcohol, Lavender Essential Oil, Methyl Paraben, Propyl Paraben, Citric Acid, FD&C Violet. A cleansing soap which is gentle on the skin. May also be used in the shower,to wash hands or as a bubble bath. Water, Sodium Laureth Sulphate, Coco Amido Dipropyl Betaine, Glycol Stearate, Coconut Diethanolamide, Tetrasodium EDTA, Salt, Citric Acid, Chloromethyl and Methyl Isothiazolinone Fragrance, Lavender Essential Oil, FD&C Red 122, FD&C Blue 15.3. This gentle bubble bath is suitable for all ages and may also be used as a hand and body wash.
Great to gently exfoliate the skin. De-Ionised Water, Stearic Acid, Isopropyl Myristate, Refined White Oil, Gylceryl Monostearate, Cetostearyl Alcohol, Ground Walnut & Apricot Kernal Shells, Propylene Glycol, Triethonalamine, Fragrance, Methyl Paraben, Imidazolidinyl Urea, Tetrasodium EDTA,Colour, Organic Extracts, Ylang Ylang and Lavender Essential Oil. 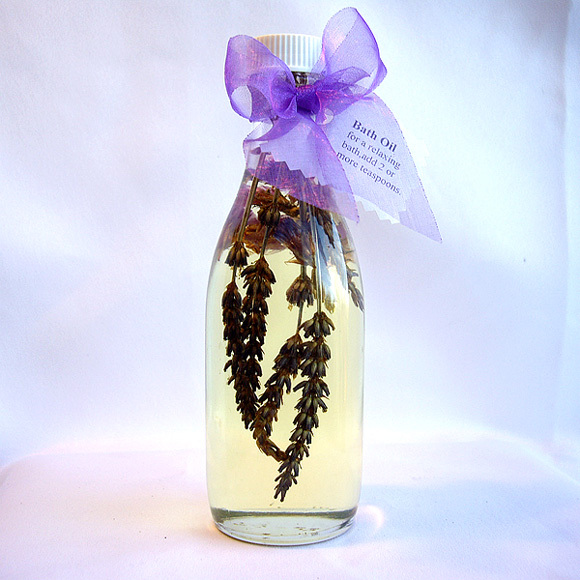 Ideal for a relaxing bath and to soothe aching muscles. Salt, Magnesium Sulphate, Sodium Bicarbonate, Lavender & Ylang Ylang, Essential Oils. 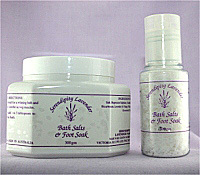 To nourish and revitalise your skin, pour 1-2 teaspoons in your bath. This non greasy natural formula will leave your skin soft and supple. 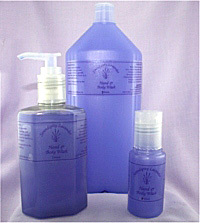 Soyabean Oil, Lanolin, Isopropyl Palmitate, Lavender Essential Oil. This non greasy natural formula will leave your skin soft and supple. Counter stress and the daily pressures of life with natural massage. 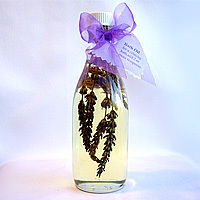 This blend of lavender and natural oils will ease muscle tension and help relax both mind and body. 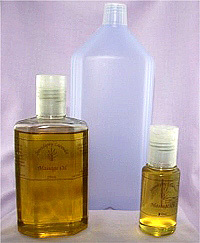 Sweet Almond Oil, Soyabean Oil, Macadamia Oil, Olive Oil, Wheatgerm Oil, Jojoba Oil, Lavender Essential Oil. 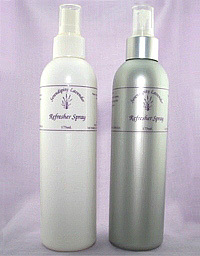 A light spray which may be sprayed on the body for refreshment, in rooms, on linen or even while doing the ironing. Keep in the fridge for extra coolness during hot weather. Spray on your pillow to assist sleep. 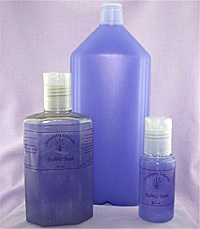 Water, Ethanol, Polysorbate 20, Lavender Essential Oil. 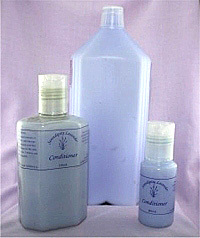 An aluminium free unisex deodorant which assists in reducing body odour. Excellent value as the bottle will last about 1 year using once a day. 4% Zinc Salts Complex, De-Ionised Water, Witch Hazel Extract, Propylene Glycol, S.D. Ethanol, Chamomile Extract, Tetrasodium E.D.T.A., Phenoxyethan Plus, Dodecatoienol Plus, Glyceryl Laurate, Hydroxyl Ethyl Cellulous, Polysorbate 20, Lavender Essential Oil, Preservative. 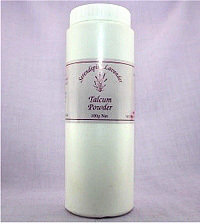 This silky smooth powder is luxurious to powder the body after a shower or bath. 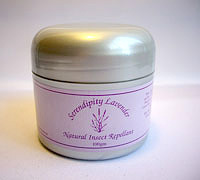 Sterilised Talc, Magnesium Carbonate, Lavender Essential Oil. A natural formula to repel biting insect. 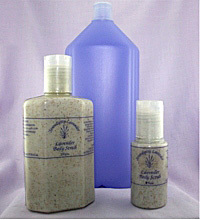 Body butter base plus, Pure Essential Oils of Citronella, Lemongrass, Lavender, Peppermint and Eucalyptus.